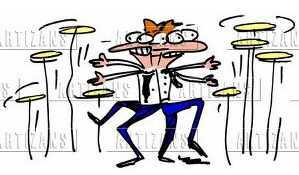 Sometimes, running a big group of musicians, sorting out rehearsals, bookings, transport, loading, unloading and setting up of equipment, arrangement of new material, promotion and all the rest of it, can feel remarkably like high stakes plate juggling. Musicians quickly learn that they need to take their responsibilities, as members of a performing group that goes out in public, very seriously. Once you’ve said you are available, and the date is in the diary, it takes a big thing to count as a good enough reason not to be there. I have to say that choir members and backing singers for the band weren’t always quite so reliable. In the early days of the choir, it was a regular thing for us to turn up to an event, only to find that significantly fewer members of the choir arrived than had confirmed availability. Excuses such as ’I felt a bit too tired’, ’I think I’ve got a cold starting’ or ’I’m not sure I want to drive on these icy roads’ don’t hold much water when an audience has paid for tickets to come and see you. Nowadays we are very clear with new members of the choir that once an event is in the diary, if you’ve said ’yes’ to it, then you need to be there; it takes a major personal disaster to be considered as a valid excuse for letting everyone else down. Responsibility to one another is something that is much needed in all walks of life, because someone always has to pick up the slack if you can’t be there, and they’d much prefer not to have to deal with the extra work and stress just because you fancied an unexpected lie in that morning. I remember one particular backing vocalist in the show band that we used to run, who left a message on my answerphone the night before a gig, saying that she was tired, and whilst she wouldn’t be stopping her horse riding, work and other interests, that she felt the band with its late nights was just proving too much. That was it; twenty four hours notice and we, who were booked as an eight piece band, with multiple harmonies and dance routines were now a seven piece with a backing vocal group of one. I spent Friday night and Saturday morning phoning everybody I could think of. All, unsurprisingly, to no avail – people were either already booked up for Saturday night, or were, quite reasonably, too daunted to want to get on stage in front of a large audience without a significant number of weeks in preparation. At 1 O’clock I had phoned everybody, and I was mentally and emotionally exhausted. I went for a quick shower before starting our journey, disillusioned and angry. And I started to breathe again. Sometimes, that point when you give up brings extraordinary release, and a sort of peace. Ten minutes later (I really do not exaggerate), the telephone rang. Someone had phoned a friend who she felt would enjoy helping us out, and that friend had now phoned me. She travelled down with us, practicing all the way, and then they sorted out dance moves while the backing vocal-less jazz section of the band did our first set. It was a lesson in determination and rapid learning. She was in the band for the next seven years. I remember, the morning after that first gig, she said to me “I’ll never let you down”. I will always remember my gratitude to her. He never lets us down either. Maybe if I’d turned to Him more trustingly in the first place, I might have had an easier twenty four hours. I also find it particularly annoying that once people have said “Yes”, they (sometimes) let you down for a ‘better’ offer. Once I’ve said “Yes”, I always honour the first commitment regardless if it’s a free ticket to Anfield instead of a few hours help steward. 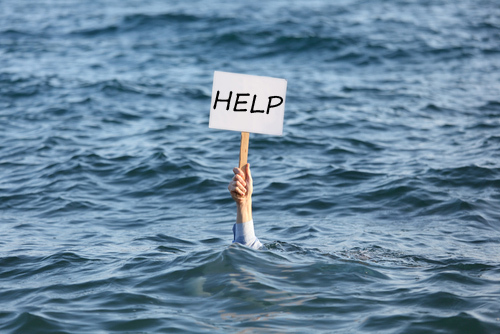 Yes, I have tried to change appointments if one wasn’t particularly urgent or time dependant as I would never turn a ‘gig’ down…..unless of course those prior engagements are something that I wouldn’t even ask to get out of for fear of sounding that I’m not a willing volunteer. Personally, I’ve always found it hard to say “No” to anything though! You are so right Jason. Responsibility to others is important. And, sadly, not ubiquitous. Sooooo right Penny (thinks back to last Sunday when less people were there than I was expecting!). I would totally agree with you if only I knew what ubiquitous meant! !